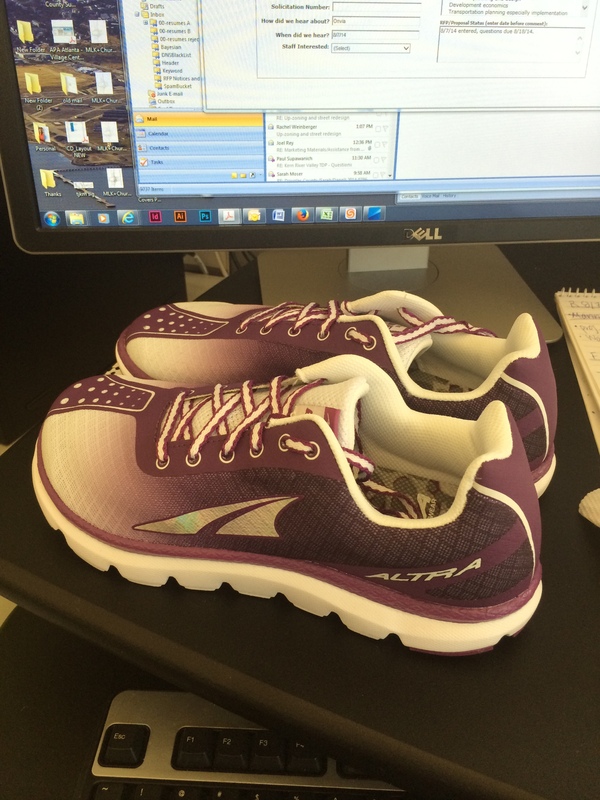 This morning, I tried on a new pair of Altras for a brief run before BodyPump at the Bay Club. I’m not entirely sold on the zero drop shoes, but they are incredibly light and felt good today. I’ll be sure to test them out more thoroughly this weekend at Lake Tahoe. Altras with a side of email. After work today, Jesse and I are driving up to Lake Tahoe. I haven’t been in probably 15 years (and never during the summertime), so I’m really excited to swim in and run around the lake. Jesse will be participating in a training weekend with his Ironman Lake Tahoe training group; he’ll be biking long on Saturday and running long on Sunday. We’ll be sure to take plenty of photos of the pristine scenery. Happy Friday, and hope you have a great weekend! They look pretty (not that that matters)! Have a great weekend! I haven’t been to Lake Tahoe since high school, and I’d love to go back. It’s so beautiful. Enjoy! Those shoes are so funky looking! Have an awesome trip to Tahoe!! Can’t wait to see what Jesse thinks of the course. I think it helps a ton when you can see the course before hand!! Have fun!! Thank you, Leslie!! A course preview always helps! Leslie, I think I’m definitely enjoying a 4pm Friday beer at my desk knowing what lies ahead tomorrow and Sunday. More to come soon! Have a great weekend. Aw man I miss Tahoe! I braved bay area traffic every weekend to go skiing at Alpine while I was in college at UCSC…and the lake is so lovely during the summer! Have a blast! Those zero-drop/maximal cushion shoes are so intriguing to me. Have a great weekend. Sounds like a great time. Would love to hear more about your experience with the Altras.